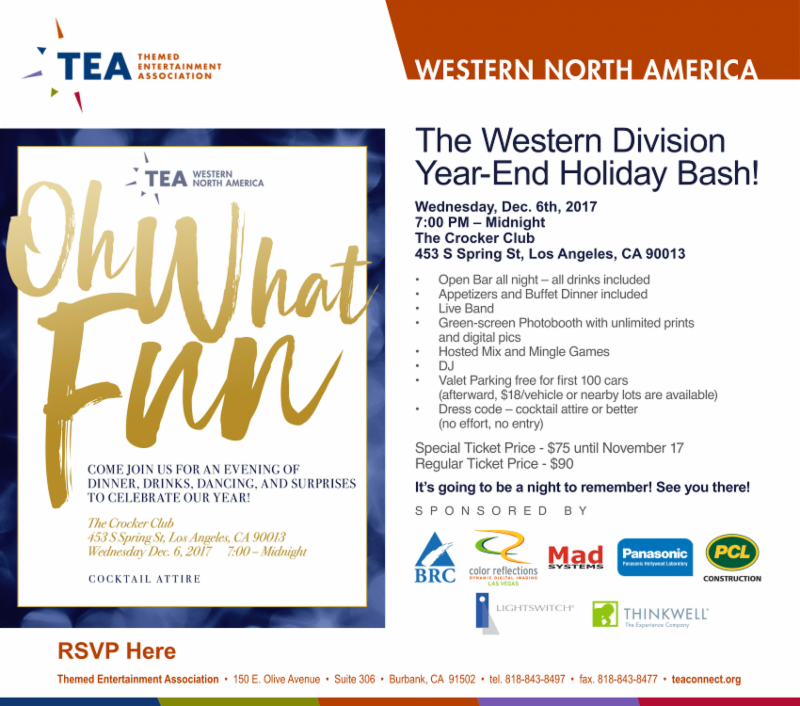 TEA Western Division Year-End Holiday Bash! Dress Code - Cocktail attire or better (No effort no entry). It's going to be a night to remember! See you there!